Tomato and Whipped Feta Crostini is an easy to make appetizer which you can make for parties or get togethers. The whipped Feta spread can be made in advance and used when required. Fall is just round the corner and most of us are thinking about what new dishes to make and how best to pair them with our fall drinks. What better than a red wine paired nicely with a great recipe that translates from summer to fall? 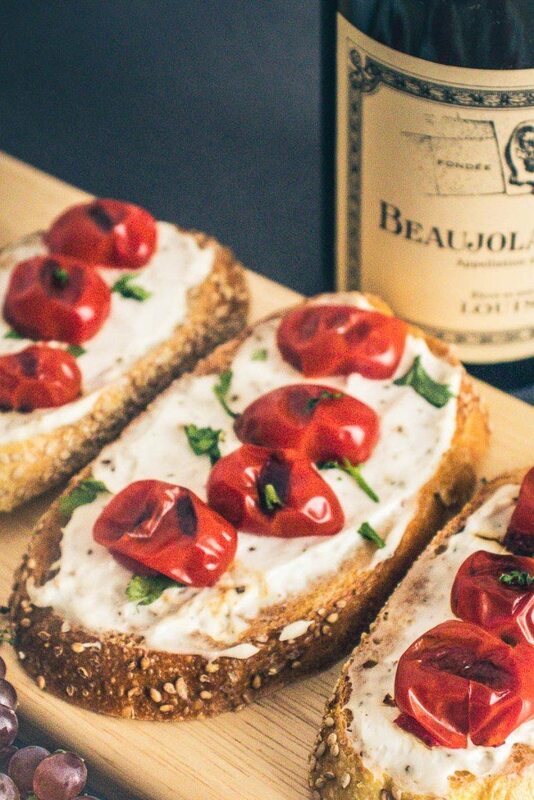 I’ve used Louis Jadot Beaujolais Villages 2015 Red Wine with this awesome crostini. This artisanal food-friendly wine is produced in the Beaujolais Villages. It can be paired equally well with grilled meats, fish and vegetables. Beaujolais Villages has long been served successfully in a number of restaurants and had earned itself a great appellation of “true prince of bars and good tables” in 1960’s. Made with the Gamay grape, it is a great value wine which tastes perfect at room temperature while it can also be served slightly cool. This Beaujolais villages red wine is smooth and balanced with hints of ripe red and black berries, plums, stone fruits and structured minerality. The baked bread topped with roasted tomatoes and feta cheese of this bite paired excellently with the wine flavors. Take part in this contest and enter to win the ultimate picnic set! 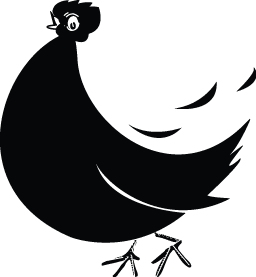 Beaujolais villages has long been served successfully in a number of restaurants and had earned itself a great appellation of “true prince of bars and good tables” in 1960’s. Made with Gamay, it is a great value wine which tastes perfect at room temperature while it can also be served slightly cool. 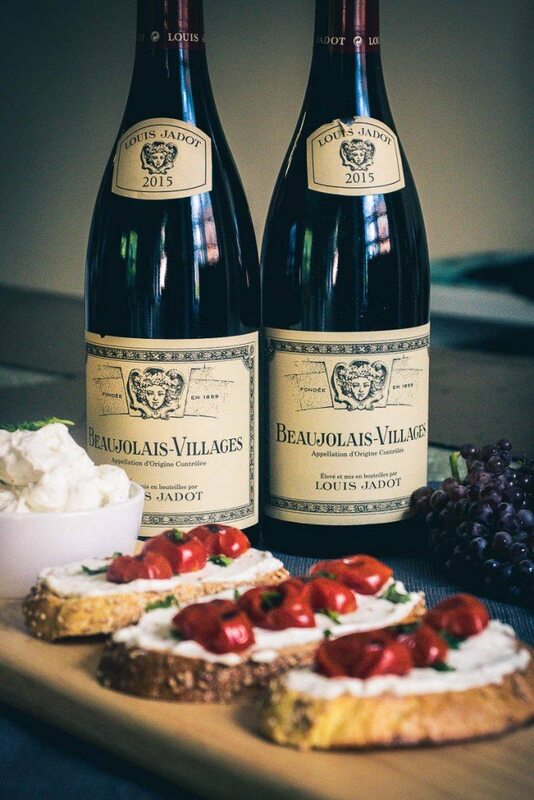 This Beaujolais villages red wine is smooth and balanced with hints of ripe red and black berries, plums, stone fruits and structured minerality. I tried the red wine along with Whipped Feta Tomato Crostini Recipe. The baked bread topped with roasted tomatoes and feta cheese paired excellently well with the wine flavors. 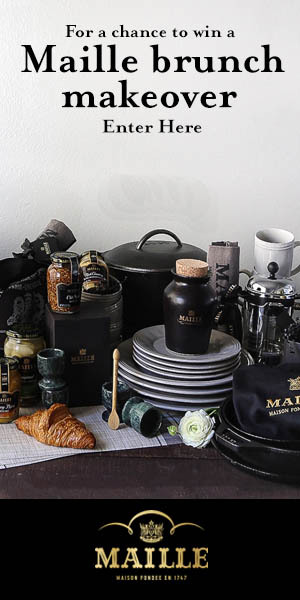 Enter below for a chance to win the ultimate picnic set. Celebrate the rest of tomato season and summer with these easy tomato and whipped feta crostini. They're prefect for a quick lunch or as a party appetizer.